2. Place the puff pastry on a large piece of parchment paper, and use a rolling pin to roll out into a 10-inch x 16-inch rectangle. 3. Score a 1-inch border around the pastry with a sharp knife. Using a fork, poke holes all over the center of the rectangle. 4. Bake the pastry 15 minutes, or until lightly golden. 5. In a small bowl, combine the cream cheese and Half and Half. Stir until smooth and spreadable. 6. Spread cream cheese mixture in the center of the puff pastry, leaving the one inch border. 7. 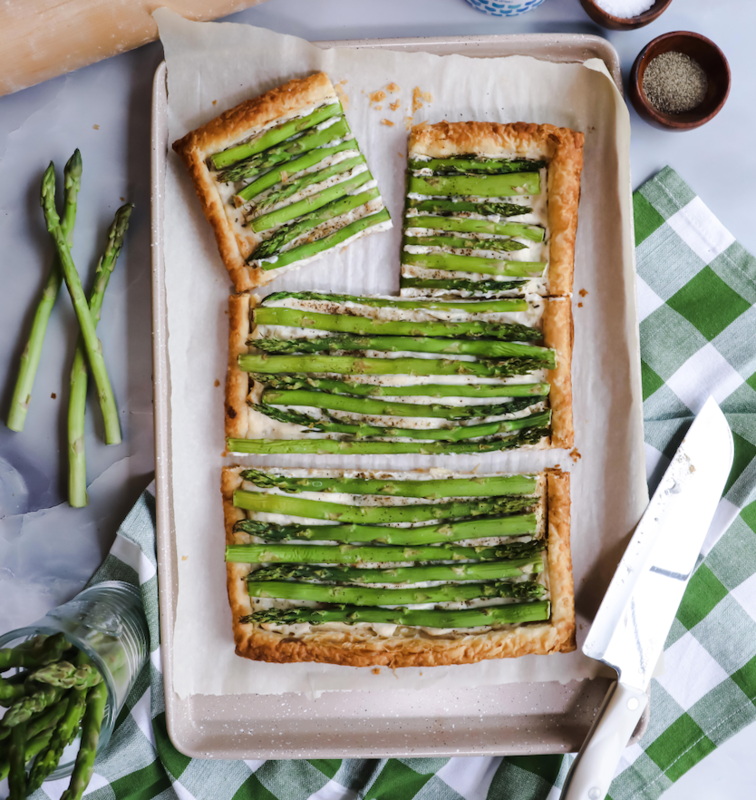 Place asparagus spears in a row on top of the cream cheese. Sprinkle with salt and pepper. 8. Bake 25 minutes, or until golden brown. 9. Remove from oven, slice, and serve warm.